ANGEL HOUSE UBUD: BOUTIQUE STAY, AUTHENTIC EXPERIENCE – Angel House Ubud. Boutique 3 suite hotel or Whole Villa Rental. Authentic Bali experience. Unique Accommodation. August 27, 2018 April 11, 2019 Angel House Ubud: Whole Villa or book 1 of 3 only boutique suites. 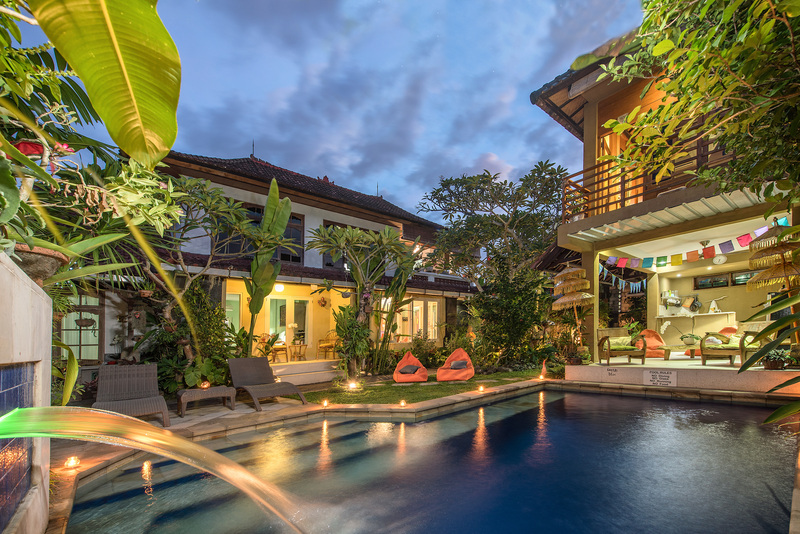 Angel House is a 3-suite only, boutique hotel or whole villa rental (book all 3 suites) in the Balinese village of Mas Ubud, only 10mins (4.5km) south of the hustle and bustle of central Ubud. Tourists wanting peace and quiet or who wish to experience traditional Balinese life and culture stay with us because they have a rare opportunity to walk the quiet streets of Mas and chat with our friendly Balinese community. There are plenty of opportunities to photograph the locals at work, or a ceremony, maybe a traditional Balinese carved doorway or temple and along the way watch the farmers tending their rice fields (sawah). Close by visit some famous wood carving galleries or shop for homewares, stop for coffee and cakes or a delicious meal or snack . The traditional food market, ‘Pasar Mas’ is open from 5am selling fresh fruits, meats, tofu and tempe as well as traditional Balinese breakfast and Balinese snacks. At night it turns into a night market serving local food such as Sate Ayam (Chicken sate and rice) and fresh juices. Angel House is close to local supermarkets, ATM, moneychanger, restaurants, art galleries and hospital (with pharmacy and 24hr Emergency department). ← Angel House Ubud commitment to the environment and to our community.